A long email list is a cornerstone of successful blogging. 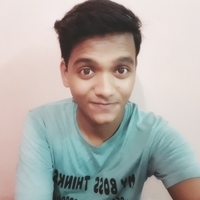 Not only does it assures a consistent flow of traffic to your blog posts, but it also opens new avenues of revenue generation. Sadly, it’s challenging to capture email addresses of website visitors. This is one of the most common and well-proven methods. Write an in-depth eBook – likely an extension to your blog posts – and offer them to readers in return of their email addresses. You have worked hard to grow your social media following. Asking them once in a while to join your email list isn’t a bad idea. Since they are already following you, there’s a very high chance they would also subscribe for your emails. Encourage your readers to forward your emails. If they like the email content, there’s a high chance the forwarded recipients would visit your blog. From there, you can convert them into subscribers. Write a solid blog post—but don’t give everything away in one go. In the end, ask the readers to subscribe to get the “meat” or main points of the post. Develop some sort of FREE email course that’s valuable and exclusive. Ask your audience to enroll. Follow drip campaign methodology and use email automation tools like MailChimp. When there’s a sense of urgency, people act fast. So offer limited-time offers (like eBooks, video tutorials, more) to those who subscribe immediately. Everyone likes to feel special. In exchange of emails, offer your readers one-time exclusive access to your contents, personal resources, unheard stories or more. You can also start an exclusive community that’s open for limited time. 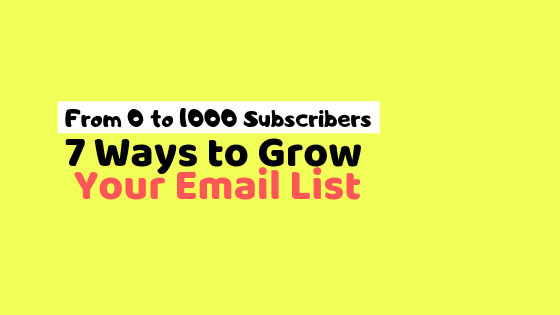 These are 7 best and free ways to grow your email list from ZERO to 1,000 SUBSCRIBERS, quickly and creatively.